This question was placed in a comment on the page where the readers can donate so we can place billboards with biblical message in Chisinau. I do not know the intentions of which the question has been asked, but it obviously requires a response that I want to give in this article. Last week I bought a kilo of cherries from a woman in the street and I had to pay 11 lei. I gave her o banknote of 10 lei and because I did not have one more leu, I asked her whether she agrees to receive coins of the remaining money. 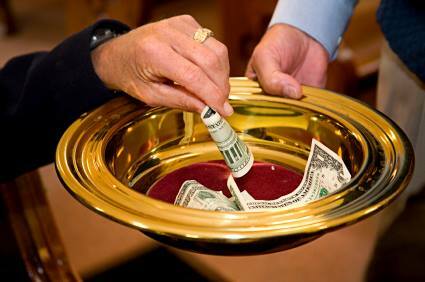 She agreed and said: “Yes, you can give me and I will put the coins on the plate at church.” Then I asked the woman if that is how God gave her the things, by throwing coins on the plate? The woman answered nothing, but she and her neighbor who was selling near her remained very thoughtful. Don’t you have any reasons to come up with gratitude before God? Don’t you have even the gratitude of the woman who said she would place on the plate the coins gained from the sale of cherries? God teaches us to think of our neighbor and each born-again Christian is well aware of the greatest need of other people to believe in Jesus Christ to be saved. Therefore, we are happy to invest money, effort and our resources to bring God’s Word to people. Do the same if you care for your neighbor and his supreme good – the salvation of the soul from eternal death.